When Zaragosa Barbosa (who goes by “Z”) first contemplated putting his fledgling wholesale decking supply business on the World Wide Web in 1995, it was primarily a public-relations consideration. By the mid-1990s his hometown of Austin, Texas, had earned a reputation as one of the country’s most connected cities, and its high number of “wired” residents were smitten with the Internet. Although many weren’t ready to make purchases over the Internet, they viewed a Web address as a mark of success and wanted to do business with companies that advertised one. To Z, who was already aggressively courting the business of every deck builder in the area, this was just another marketing angle to try. 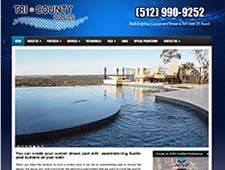 So five-year-old Austin Wholesale Decking Supply (AWDS) launched a website. In retrospect, that decision may well be the factor that has catapulted his business into the stratosphere. Little did Z know that in five short years, his company on North Lamar Blvd., a commercial artery that runs the length of the city, would be running one of the most notable Internet sites in his industry. In his wildest dreams, he could not foresee that he would be advertising the ability to ship to the Lower 48 from his location in Central Texas, and that it would generate a tremendous return on investment. He did not imagine that he would count his Internet site as a fourth “location” in his growing business, nor that it would promptly demonstrate the potential to outshine the company’s “storefronts”. 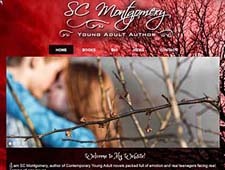 He could not anticipate that the website would so enhance his personal profile that he would be quoted as an industry expert in such diverse national publications as USA Today, The Wall Street Journal and The New York Times. From that first modest effort to today’s state-of-the art site, AWDS’s web presence has been a collaborative effort with then Austin-based Ad Wizards Internet Services. Ad Wizards has since moved to the Kingsland area of the Highland Lakes. Owner and Head Wizard Don Allen had become fascinated with the fledgling technology of the Internet when a back injury sidelined him from his first career, and he pursued every avenue to learn its intricacies. When Z leased some office space to Don’s brother, Don made a sales pitch to put AWDS on the Internet, and Z listened. Well, not at first. “He made some proposals on how things should be, and with us being too busy with the regular stuff and never putting two and two together, I blew it off the first time,” Z says. “And I blew it off the second time.” But the third time, he says, something about Don’s proposal and the way Z himself was seeing new products being introduced in his own industry suddenly clicked. He gave Don the go-ahead to put together a website for AWDS. But that’s just the beginning of the story. Early on, the same openness to marketing that made Z receptive to trying the Internet in the first place also made him susceptible to fast-talking salesmen. First, Z redirected his domain name to a telecom company that was offering to include web hosting as part of an integrated package of services. When they didn’t deliver, he fell prey to a salesman who offered to set up a second website as a way of doubling the company’s visibility. Only when that person appropriated a considerable amount of the website design that Ad Wizards had originally produced for AWDS, did Don pay Z a visit to straighten things out. Z’s foresight in staying with Don and Ad Wizards has had long-lasting benefits in terms of visibility. “In non-paid placement, just normal run-of-the-mill search engine results, Z has been with me long enough to where we’re grandfathered in,” Don notes. “And we have enough content that we’ve had for a number of years, that we are grandfathered in the databases.” As the Web grows and becomes increasingly congested, some of those benefits may disappear. Until then, Z will have had the advantage of several years’ worth of enhanced visibility. Z might have enjoyed that benefit with any webmaster, but most webmasters are not as knowledgeable as Don Allen when it comes to HTML coding, design and search engine advertising techniques-from a sales standpoint. This may be due to the fact that many webmasters have a background in programming or design; focused on the nuts and bolts of the project, they may forget the underlying message. Don’s background in sales and marketing, combined with his skill in incorporating the wide variety of products available through AWDS, helps bring the website to the top of the search, no matter what one is searching for in decking supplies. While Z was exploring his options for positioning his company on the Web, the Internet was growing up. It was showing up on more and more desktops across the country, and users were becoming more comfortable with it as a tool, rather than a just a novelty. Once he settled on working with Don, AWDS was waiting to be found when customers were ready to buy. The website’s homepage introduced the company; additional pages described the benefits of various lumbers in the company’s product line, and featured the next generation of decking materials: composites. The first incarnation of the AWDS website, simple as it was, didn’t take long to prove its ability to capitalize on Z’s local business success. AWDS fielded a request from New York, overnighted a bid with samples and promptly received a $37,000 order accompanied by cashier’s check. From halfway across the country, AWDS’s bulk purchasing power had secured the lowest price. Z arranged for product to be delivered directly from the plants, and cashed his first Internet return-on-investment. “Ever since then, we’ve taken what we’ve made profit-wise, and put it right back into the Internet, to get more expansion,” Z says. “And every time there’s an idea now, we know it’s not a local idea, it’s not a North Lamar idea, we’re thinking national idea.” As far as Z is concerned, it’s a numbers game: If 9 out of 10 people are going to say no, for one reason or another, it only makes sense to get the word out to as many people as possible, to increase the number of those one-out-of-ten “yes” responses. The Internet offers him the potential to hear “yes” from all around the country, from thousands more than would have said “no” in Central Texas. Once Z could see the website’s potential, his fertile imagination has combined with customer suggestions and information about new technologies from Ad Wizard’s Don Allen, to produce upgrades. In 2000, when cutting-edge sites were introducing sound, Ad Wizards engaged the services of Ronni and Don Rhodes, owners of Tucson, Ariz.-based WBC Imaging, to add sound to the AWDS site. In an increasingly visually oriented medium, WBC-which specializes in CD-ROMs, audio and video streaming and other multi-media applications-has worked hand-in-hand with Ad Wizards to make the AWDS website a textbook example of savvy technology, now also incorporating flash movies and streaming video. In part, it falls under the category of entertainment, another way to capture a visitor’s attention and direct them through the site, says Ad Wizards’ Don Allen. But, as the technology becomes more mainstream for viewers and more affordable for websites, streaming videos have proved to serve another, deeper purpose. “Ronni and I haven’t seen a lot of lines around libraries,” Don Rhodes observes. “People would much rather watch a video on a website than sit and read four or five or six paragraphs of text” explaining how to do something. Recognizing this, when Z received instructional videos from manufacturers of composite decking products, it was a natural step to post them on the website. Posting this additional content on the AWDS website generates goodwill and co-op advertising dollars with the manufacturers. And, when people understand more about a product and can see how to use it, they are more likely to make the purchase. As Don Allen’s advice has proved itself time and again, a level of trust has grown between the two savvy, marketing-wise businessmen. Z knows that when Don brings him a new idea, it’s the result of constant evaluation of new technology that might benefit the AWDS website. And Don knows that when Z suggests an addition to the website, it’s very likely to be an addition worth incorporating. Can one ever have too much of a good thing? Yes, as Z discovered in Spring 2002, when the latest enhancements to the website combined with the annual uptick in business to produce a virtual flood of Internet responses. It was more business than the AWDS staff in place at the time could handle. Ad Wizards’ Allen stepped in to advise Z on upgrading his staff to handle the overwhelming response. “More than anything, we’ve just become a student of our own game,” says Z. And his web site provides evidence. For instance, he notes, pressure-treated lumber is currently embroiled in issues with the EPA. Z’s stature in the industry, combined with his unparalleled visibility on the web, make him a natural point of contact for the media. Take the EPA representative who mentioned Z in an interview on pressure-treated lumber. The USA Today reporter contacted him for additional information, and when the article came out in the paper, a local television station followed up on their home-grown businessman. The streaming video of that news package is now featured on the website. It can’t be directly associated with profit, but in Austin-a particularly environmentally sensitive town-and for others who care about such issues, the public relations value of Z’s knowledge in this area is inestimable. Other features help speed payment, hold down costs or generate goodwill; the interactive display of account information for major clients does all three. It allows deck builders to access the AWDS website at any time, at their convenience, and identify specific costs for each individual project. Getting the information at the moment they need it means quicker invoicing (and therefore quicker payment to AWDS). The one-time cost for writing the program that generates the information freed AWDS from staffing the phones solely to answer contractor requests for billing data. And account information that’s available 24/7 means the contractor can access it at his convenience, rather than interrupting his work day. If he has questions, he can check the account late at night, or before dawn. What’s next? Webmaster Don Allen says a whole new section of products is waiting in the wings. Z says he has ideas he hasn’t even mentioned to Allen yet. Whatever the next upgrade brings to the AWDS website, history suggests it will be the latest thing, done well, with the promise of enhanced profitability and the rewards of building a great business.